McLaren have rejected an approach from Toro Rosso to sign Lando Norris to the Red Bull junior team for this season. With regular driver Brendon Hartley seemingly under the spotlight to improve his performances, Toro Rosso have been looking to strike a deal with McLaren's reserve driver. 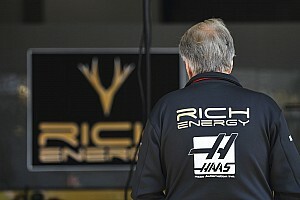 The proposed deal would've seen Norris replace Hartley from the Austrian Grand Prix onward. Norris was crowned the European Formula Three champion in 2017 and is the currently Formula Two championship leader, racing for Carlin and picking up one win and three more podiums in his debut season. Speaking about the Toro Rosso situation, Norris said: "I'm flattered by the stories but I'm focused on F2 and committed to McLaren. I leave this sort of thing to my management." With the futures of current McLaren drivers Fernando Alonso and Stoffel Vandoorne not guaranteed, the team from Woking understandably want to keep their options open for 2019. Speaking about the Toro Rosso offer, a McLaren spokesman said: "We are not surprised that other teams approach our drivers. They clearly believe they are as talented as we do." Alonso's next career move is an open-ended one. Whilst there's an outside chance he could be considered for a seat at either Mercedes, Ferrari or Red Bull next year, his most likely option appears to be McLaren, who will be hoping for major performance gains for the 2019 season. It also remains to be seen if Alonso would have another attempt at the IndyCar scene, where he has a chance at competing in the Indy 500, one part of the 'Triple Crown' of motor sport that he has been eyeing up. Meanwhile, Stoffel Vandoorne might start to feel pressure for the second McLaren seat if his performances don't start to regularly match Alonso. Whilst Norris appears to be widely-tipped for an F1 seat in 2019, Hartley is under fire to start performing at Toro Rosso. The New Zealander made a surprise return to the Formula One grid in 2017, replacing Daniil Kvyat at Toro Rosso and securing a seat for 2018. However, through poor fortune and poor results, he has struggled to replicate the results of team-mate Pierre Gasly, who has out-scored him by seventeen points so far this season. The latest reports on a driver switch at Toro Rosso won't have helped his cause, with Hartley already conceding that he's noticing the increased pressure compared to sportscar racing. 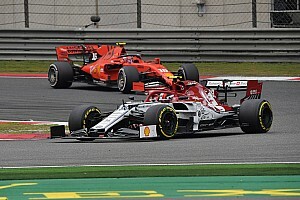 "There's a little bit more media on a week-to-week basis in Formula 1, so you feel like there's a few more eyes on you," Hartley told Motorsport.com. 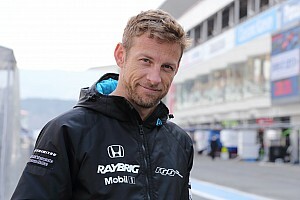 "In some ways, it can feel like maybe more pressure in Formula 1 because you're one driver rather than three. "I'm enjoying it. I do have to remind myself why I'm doing it and why I'm enjoying it, [because] there's a lot of pressure involved." When discussing his start to the season, he admitted that his biggest disappointment was not being able to capitalise on the speed of the Toro Rosso at the Bahrain International Circuit, where Gasly took fourth place. "I know you could argue it wasn't the best start for me," he said. "But actually when I look back on the first three races, two of the first three I out-qualified my team-mate. "I'm really disappointed that in Bahrain I didn't capitalise when we had such a strong car. "It's a constant learning process. 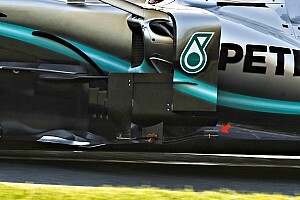 There are moving targets in Formula 1 that are changing from a week-to-week basis, and constant updates." Do you think Hartley should be kept on at Toro Rosso? Do you think Norris is destined for a Formula One drive in 2019? Leave your comments below. Hartley: "Silly" to comment on Norris offer "rumours"